I am proud to announce today's launch of the limited test version of FIDE online arena, FIDE's official Internet playing platform developed in co-operation with CNC. In October 2013, after the Executive Board meeting in Tallinn, Estonia, the fully operational version of FIDE online arena will be in service and available all over the world. FIDE firmly believes that online chess offers enormous opportunities for millions of chess lovers who are unable to regularly participate in over-the-board events for a variety of reasons: professional and family commitments, problems reaching tournaments and other difficulties, etc. Now FIDE makes the virtual real with an online arena that allows players to compete in top class tournaments with official FIDE ratings. The attractiveness and ease of online chess will also draw millions of new players - in particular the young. FIDE online arena will be an important step in achieving my goal of '1 billion chess players' throughout the world. As you know, there are many chess playing platforms. However, FIDE online arena has a unique feature that completely sets it apart: a highly sophisticated chess anti-cheating system, AceGuard. 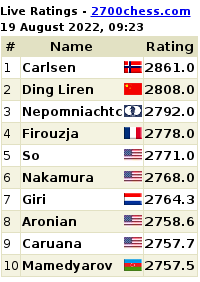 Until now, it has been impossible to award official ratings for online chess because of the difficulty in preventing cheating. Now AceGuard will be an invaluable tool in Fide's fight against cheaters and we would like to praise the PremiumChess company for developing this revolutionary technology and to congratulate CNC for bringing this service to FIDE. When the full version of FIDE online arena starts in October, every move of every game played by full arena members will be monitored and extensively analyzed by the anti-cheating system and a special team of experts, creating a fair playing venue for all. While it is not possible to prevent some players from cheating, this constant highly detailed monitoring guarantees that they can be successfully identified and appropriate action taken. Every member's playing history is evaluated with a Fairness Index rating, allowing you to see quickly if an opponent is reliable or not. 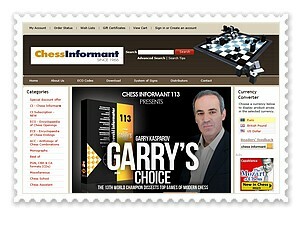 In addition, FIDE online arena offers a complete chess experience online: challenge games and tournaments, master challenge matches and simuls, free master lessons and lectures, full statistical analysis, broadcasts of major FIDE events, chat, game files, multi-lingual interface and much more - all from the comfort of your home or anywhere elsewhere you happen to be. So now you can enjoy all the features that FIDE online arena has to offer and very soon play in official FIDE events night or day, seven days a week.